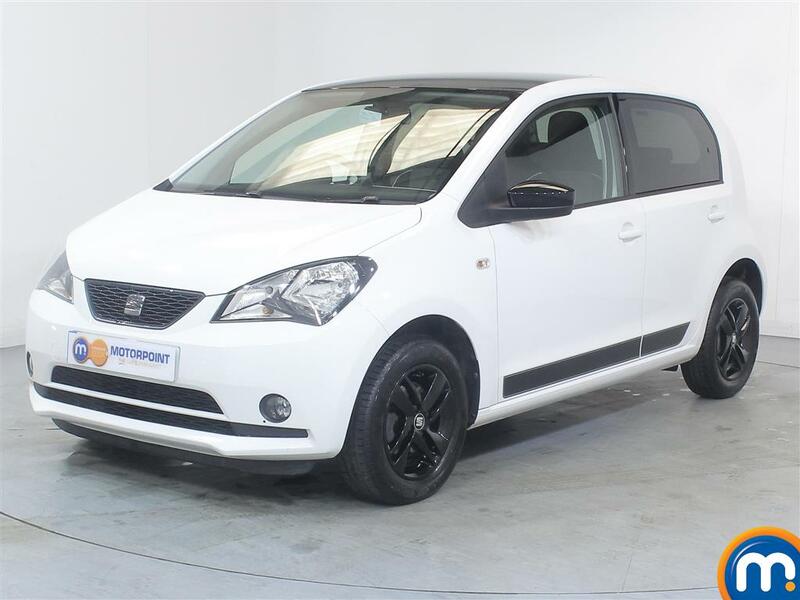 Discover the range of used Seat MII cars for sale here at Motorpoint. This fantastic little hatchback is perfect for city driving thanks to its small size and great value economy. At only 3.5 metres in length, it makes for easier driving and parking in busy urban areas. This is enhanced by the impressive handling and excellent steering the MII has to offer. It comes with a 3-cylinder 1.0-litre petrol engine which boasts frugality and provides a surprisingly sprightly performance despite its modest capacity. The intelligent layout and design of the interior makes the MII remarkably spacious. There is plenty of leg room for passengers and a number of storage areas, which combined with the fuel economy makes this a very practical option. Equally, the seats are comfortable and you can choose from several trim levels, with the top range offering many features, including air-con and luxury upholstery. The MII’s exterior is another attractive feature and its neat, dynamic shape matches the inside in terms of stylishness. Watch Ken Gibson&apos;s video review of the Seat MII above or read the full review here.